sacrifice can be too great for me to make for Him”. Although we are proud of our roots, the Head of our mission is the Lord Jesus Himself. He enables us to look at the opportunities that God is presenting to us in the modern world. In this way we can rely on the leading and guiding of the Holy Spirit at the same time as we use the latest technology to introduce the unsaved to Jesus. WEC International lives up to its name! We are a fellowship of God’s people drawn from many national, ethnic and denominational backgrounds. (Workers from over 40 countries are currently associated with us.) We work in around 80 countries all over the world, involved in many different tasks. WEC have 14 “sending bases” around the world which recruit, screen and send workers. Naturally, we also need workers in these bases, as well as in ministries such as media which are located in sending countries. At the end of Matthew’s gospel, Jesus gives “The Great Commission” to His Church commanding us to “go … and teach all nations, baptizing them in the name of the Father, and of the Son, and of the Holy Spirit, teaching them to observe all things whatsoever I have commanded you”. That, in essence, is what we believe God has called us to do – making a definite attempt to evangelize the remaining unevangelised peoples of the earth before His return. But our work doesn’t stop when a person becomes a Christian. Once people have come to a living faith in Jesus, they need to be grounded in the ways of God, and encouraged to have fellowship with other believers. Part of our work is to establish churches where believers can meet together, and also encourage non-believers to hear and accept for themselves the claims of Jesus. We always encourage local believers to construct their own church buildings and support their own pastors. There are many ways that this can be achieved. In the last 80 years WEC has planted hundreds of churches in Africa and South America, Asia and Europe. For example the number of churches begun by WEC workers in Zaire, Africa, alone number more than 1400, whilst in Colombia, South America, more than 250 churches with over 60,000 adherents have been established. Missionary evangelists seek to present the gospel to unreached peoples in a way that will be understandable within their own culture. Bible translation is another high priority in areas where it is necessary. Where there is a high rate of illiteracy we try to set up a literacy programme for adults, as well as using oral resources like cassettes. WEC has no problems in using the latest means of communications to get the message across. Using such vehicles as the JESUS film and video, radio, gospel broadsheets, cassettes and literature we are able to reach many who have never before been exposed to the Gospel. In some countries workers use their secular skills – making “unreachable” people reachable. In many countries young people form a large percentage of the population. WEC is involved in presenting the gospel to youth and helping them in practical ways. While concern for man’s eternal destiny is the primary motive for all WEC work, we can often introduce and demonstrate the gospel to people by helping to meet their urgent physical needs. Believers are taught to form local churches. These churches become bases for fellowship, teaching and further evangelistic outreach into their communities and beyond. God calls some people to support roles. WEC has many opportunities for these, both on our fields and at our sending bases. Administrators Agriculturalists Builders Carpenters Caterers Literature workers Mechanics Printing workers Radio workers Secretaries Teachers for missionaries children and more. 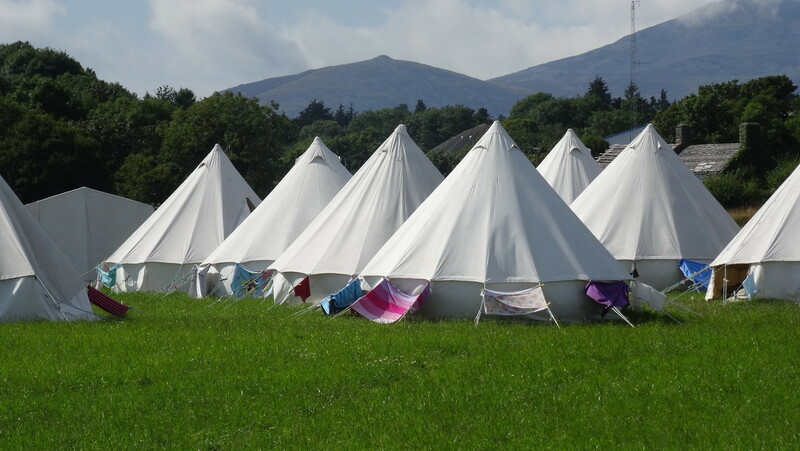 WEC Camps is a very small but valuable part of WEC’s ministry, you can find much more information about WEC by looking at their UK Website, from which this information has been copied, and also their international website.